Bechtel, UK Export Finance (UKEF) and the Energy Industries Council (EIC) invite companies to register their interest in supplying high-value opportunities in the nuclear, oil & gas, and civil infrastructure sectors. 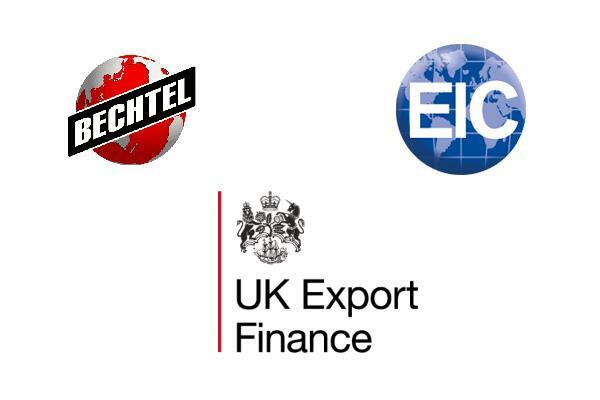 Bechtel is building on its track record of supporting UK exports through UKEF financing and collaboration on future projects. With the support of the EIC, UKEF is looking for UK companies in the energy and infrastructure sectors which can deliver the projects. All registrations will be shared with Bechtel’s procurement team, who are actively seeking UK suppliers. Selected companies will be invited to attend a Bechtel supplier event in Birmingham on 28 September where they can meet with the procurement teams, explore future contracts and present their capabilities to Bechtel. For more information and to register your interest, go to the EIC event page. The Nuclear AMRC’s newest member company has secured a £20 million contract to produce waste containers for Magnox. 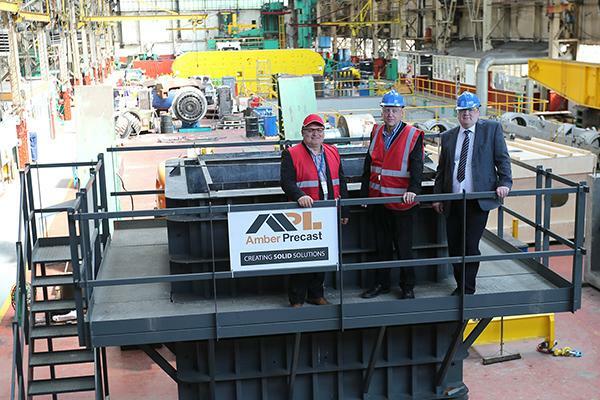 Sheffield-based heavy engineering specialist DavyMarkham will work with its sister company, Amber Precast, to design, test and construct transportable 6m3 concrete containers for intermediate-level waste (ILW) from the Magnox reactors. DavyMarkham is creating a new dedicated plant and up to 50 jobs at its site in Darnall to carry out the work. “Being awarded this supply contract for concrete ILW containers is a step forward for DavyMarkham in its drive to become the UK leader in providing high integrity containers to the nuclear industry,” says Bill Clark, DavyMarkham managing director. The four-year contract will draw on DavyMarkham’s expertise in high quality steel fabrications for container casings and handling features, and the precast concrete capabilities of Derbyshire-based Amber Precast. Both firms are part of the Hughes-Armstrong Industries group. Once the final design and manufacturing methodology have been approved, Magnox will require more than 1,000 of these 6m3 boxes to store various types of intermediate-level waste from the operational and early decommissioning phases of its UK power stations. With a history going back to 1830, DavyMarkham is a leader in the design, manufacture and assembly of large equipment for mining, power generation, oil, gas and nuclear sectors. Since Clark led a buyout of the company in 2014 alongside Hughes-Armstrong, DavyMarkham has increasingly positioned itself at the top end of the manufacturing technology spectrum. “Membership of the Nuclear AMRC demonstrates DavyMarkham’s commitment to participating in the nuclear supply chain through collaboration and innovation with key strategic partners,” says Dr Alan Thompson, director of quality at DavyMarkham. DavyMarkham works with nuclear customers including Sellafield Ltd, AWE and Rolls-Royce. The firm completed the Fit For Nuclear programme in March 2016, and appointed industry veteran John Cheek as nuclear and defence director in October. UKAEA is hosting a networking and information day for small and medium-sized companies which could supply products or services to the Culham Centre for Fusion Energy. 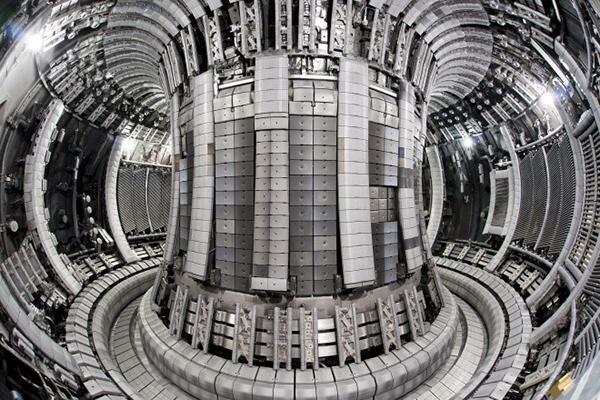 With an annual spend of £200 million for the next 10 years, plus a further £21 million funding for the MAST upgrade – around half of which is channelled through tier one and two suppliers – the UK’s centre for fusion research presents a valuable and active market to nuclear-ready suppliers. Exhibitors will have the opportunity for one-to-one “meet the buyer” interviews with procurement specialists from UKAEA and top-tier suppliers including AmecFW, Assystem, Atkins, Cavendish Nuclear, Jacobs, Mott MacDonald and Nuvia. The Nuclear AMRC will also be attending. 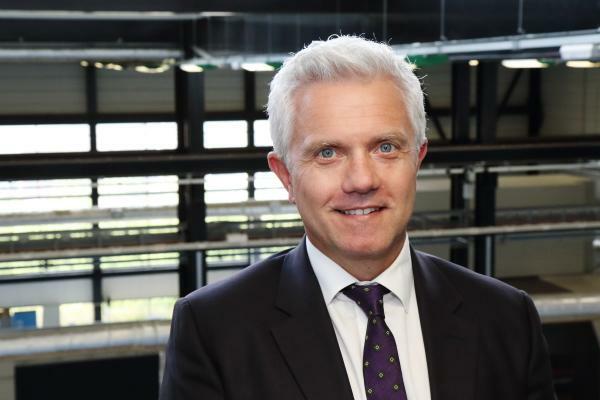 Andrew Storer has been appointed chief executive officer of the Nuclear AMRC, after two years as managing director. He succeeds Mike Tynan, who has now retired after four years leading the centre and 42 years in the nuclear industry. Below, Storer introduces his vision for the centre. I have been at the Nuclear AMRC since October 2015, but I’ve been involved since the beginning. I was programme director for Rolls-Royce’s civil nuclear business, and we needed somewhere to develop manufacturing techniques to help deliver potential contracts. Back in 2012/13, the centre was dominated by one customer responsible for 85 per cent of work. Those early years were about creating the physical assets and starting to think seriously about supply chain support. Since then, Mike Tynan has spent a lot of time and effort getting the Nuclear AMRC into the fabric of the nuclear industry. Within the past year, we have diversified the customer base so we are no longer dominated by any one company, while increasing overall revenue. We have opened a new centre in Birkenhead for modules and local supply chain support. We are really well engaged with Sellafield, and see this as a great relationship for the future. We still have a lot more to do. More than ever, the UK nuclear industry needs to work as one, building on the good things across the sector and not just re-inventing everything in silos. Consolidating procurement plans across the sector would help us all understand volumes, stimulate UK investment, and leverage economies of scale. Research needs to be targeted at today’s scope of work as well as future needs, to help companies make things at lower cost and with greater repeatability while meeting quality demands. This efficiency needs to be fed back to the consumer – nuclear is competing with other energy sources and we can’t take anything for granted. We must start by showing that we can deliver current programmes in new build, decommissioning and submarines, and keep generating 21 per cent of the UK’s electricity at EDF’s 15 operational reactors. To support this cross-sector approach, we are working with the Nuclear Industry Association (NIA) to develop a sector deal as part of the new industrial strategy. This is one of five initial deals proposed by the secretary of state, Greg Clark, and was presented at the Nuclear Industry Council (NIC) in July. This is a once-in-a-generation chance to positively change our sector, with some real game-changing topics which were all agreed as sensible areas for development. The new energy minister, Richard Harrington, and his team are now working with NIC members to develop the details for presentation to Clark later this year. We hope this will trigger new approaches for current and future technology development and intellectual property in the UK. So what does all this mean for Nuclear AMRC? We are now in the performing phase of the centre’s life. We intend to deliver more in-depth supply chain development, providing very specific support to companies against real opportunities. This will link back to our facilities in Rotherham and Birkenhead, providing more tangible disruptive manufacturing research based on industry pull as well as innovation push. We also plan to develop bases in the UK’s key nuclear regions, providing localised support to reduce the burden on the supply chain. There’s nothing in our name to say we only work with metal – we intend to develop our research into electrical controls and instrumentation, which make up a large part of the value of a reactor plant and which fall within UK scope. We recognise that qualification of equipment is a vital part of UK companies winning work, and are working very closely with the Office for Nuclear Regulation (ONR) to provide additional support for this and other areas. And of course, we will develop our work on modules, which we see as fundamental to reducing cost, and which we are just starting to address at our new facility. We have lots to do at the Nuclear AMRC and, as the new chief executive, it really does excite me. I look forward to continuing to work with everyone here at the centre and all our members, partners and friends in the nuclear industry. For the latest news from the Nuclear AMRC, download our Q3 newsletter.